i am happy with the shuttle to the airport. it is free of charge. I am in Mumbai for business. This place is the nearest to my working place. Breakfast is good enough with several selections and good service. Located on the main road on Pali Hill was convenient to just walk out and immediately take a rickshaw to anywhere ! Everything about it was way above or expectations. Keep up the good work! nice cozy rooms, very nice and polite staff, clean bathrooms. This was such a pleasant stay at your hotel. The staff was super helpful and so friendly will definitely stay at this hotel again!!!! Highly recommended!!! Centrally located , comfortable rooms,very helpful and kind staff. Restaurant Veranda is a must try and the staff is very good at their service. It was centrally located to the area I wanted to be in. Staff is friendly and cooperative. The restaurant in the basement and on the rooftop is great. The F&B manager during breakfast was a credit to the hotel. However, the lack of choices, even aside from the buffet, were a little disappointing. The Television options were impressive. Executive Enclave This rating is a reflection of how the property compares to the industry standard when it comes to price, facilities and services available. It's based on a self-evaluation by the property. Use this rating to help choose your stay! 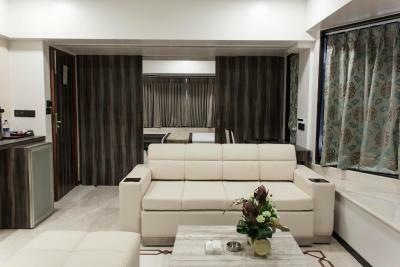 One of our top picks in Mumbai.Executive Enclave is located in Mumbai’s suburb, Bandra, less than 6.2 mi from Chhatrapati Shivaji Airport International Airport. It offers modern rooms, free public parking and free airport drop service. 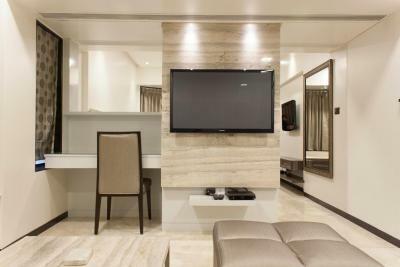 Rooms at Executive Enclave have dark wood furniture and colorful décor. Each has an private bathroom with bathroom amenities. Facilities include air conditioning, cable TV and a mini-bar. Guests can enjoy Indian, Chinese and continental dishes at Executive Enclave’s multi-cuisine restaurant. The rooftop café, open in the evenings, faces the sea. Drinks are available at the bar. Facilities at the Executive Enclave include business and fitness centers. The tour desk staff can schedule excursions to Mumbai’s attractions or arrange car rental. Linking Road, Bandra’s shopping hub, is just a 10 minutes’ drive from the hotel. When would you like to stay at Executive Enclave? Rooms have dark wood furniture and colorful décor. Each has an private bathroom with bathroom amenities. Facilities include air conditioning, cable TV and a mini-bar. 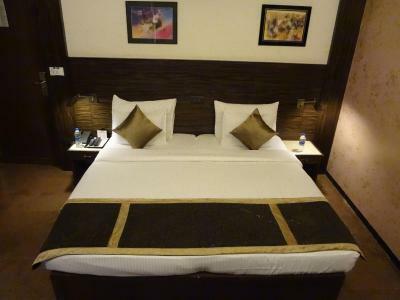 The large and spacious air-conditioned rooms have dark wood furniture and colorful décor. 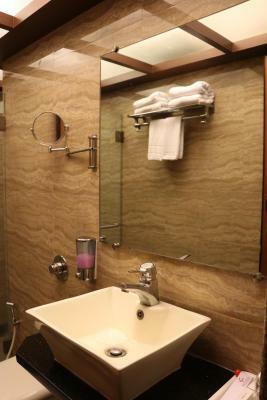 Each has an private bathroom with bathroom amenities. Facilities include a flat-screen satellite TV, electric kettle and a mini-bar. 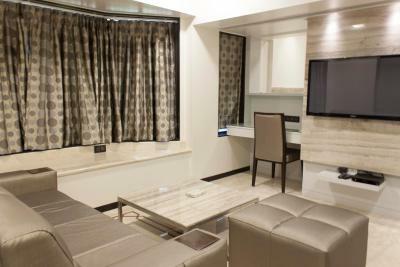 The large and spacious air-conditioned rooms provide a city view and have dark wood furniture and colorful décor. 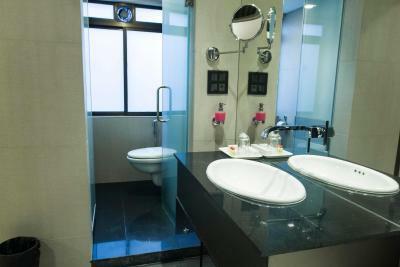 Each has an private bathroom with rainshower, bathtub and free toiletries. Facilities include a flat-screen satellite TV, an electric kettle and a mini-bar. The rooms include complimentary breakfast. With a 31 year old hospitality experience behind us, we still swear by the values of our tradition, which pronounces the "Guest as the Almighty". We derive our strength from such values that makes us grow every day, only to serve a better hospitable experience. Here everyone is committed to make sure that the guest is. House Rules Executive Enclave takes special requests – add in the next step! Up to two older children or adults are charged INR 1000 per person per night for extra beds. Executive Enclave accepts these cards and reserves the right to temporarily hold an amount prior to arrival. Please note that the airport drop will only be provided if the guest provides the property with flight details 24 hours prior to flight departure time. The staff were so wonderful and even let us shower in the evening of our checkout day, after taking a long and hot tour of Dharavi. The breakfast was delicious and we were very comfortable in the room. 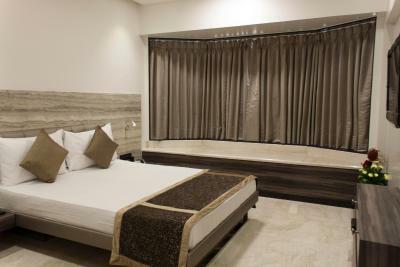 The best part was the location, so close to Pali hill and all its attractions. Price, but for Mumbai is the average. A day or two the floor was sticky after the room was cleaned. I heard they had a rooftop bar for a while but since closed. Pity. I was looking forward to that. The restaurant is very, very good and well priced. There is also an excellent free mainly Indian style breakfast in the morning. In general I love this place - it doesn't look like it has changed since I was first here 15 years ago - everything in the place works and functions, it is nicely quaint. The staff are fabulous. 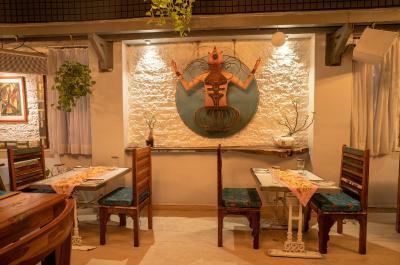 Lots of restaurants, bars and bandra shopping precinct all is walking distance. 1. FOOD QUALITY 2. ROOM CLEANLINESS NOT GOOD. 3. ROOM WAS SMELLY. 4. BATH SOAP / SHAMPOO VERY MEDIOCRE. Surroundings of the hotel , WIFI signal within the room was very weak. The rooms were too small and overpriced. There was no enough space to open the door fully and very tight. The mattress was very tiny. The breakfast was not up to the mark. The staff at this hotel, from the reception team to restaurant staff to room service, are all an asset to this hotel. I cannot rate this hotel highly enough for the amazing service we received from the team. The rooms are comfortable and well designed, though a bit tired in places. Fantastic location for both business and leisure travel. Would definitely stay here when back in Mumbai, and would highly recommend it to others.